I guess you don’t have to put this up in your kid’s nursery, but that’s the first place that jumps to mind when I see a mobile hanging from the ceiling. 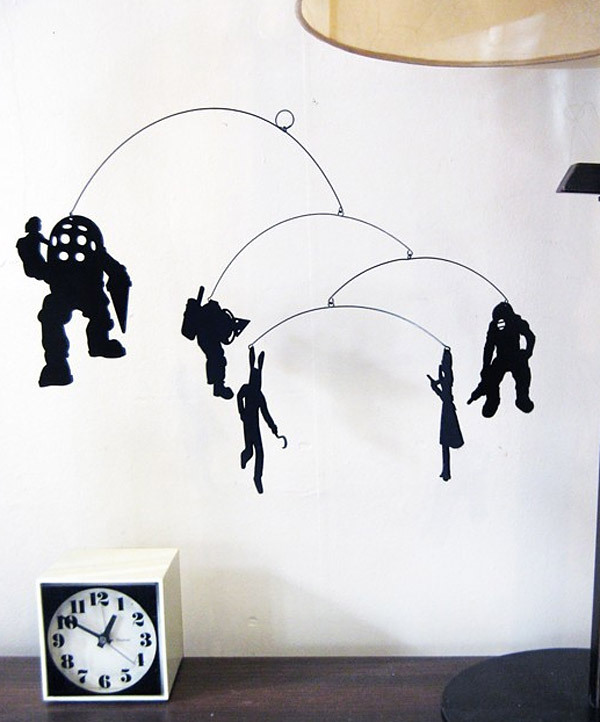 Of course this Bioshock mobile might give your young one permanent nightmares, so you might want to be careful about where you hang it. 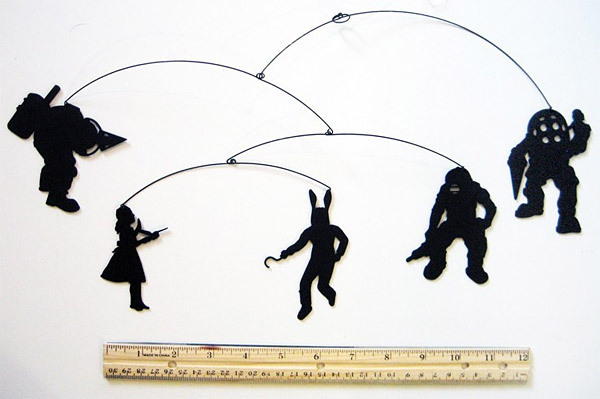 Artist SaltyandSweet makes these disturbing mobiles from the world of Rapture, complete with Splicers, Big Daddies and Little Sisters ready to hang wherever you see fit. Each one is laser-cut from solid black mat board, and can be found over at SaltyandSweet’s Etsy shop for $33 (USD). Sorry, no Big Sisters included.